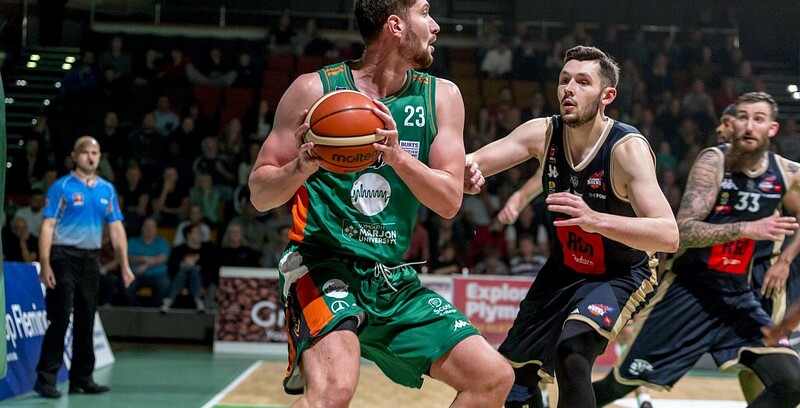 Zak Wells has announced his intention to retire from professional basketball at the end of the current season, after a great career in the BBL, internationally for GB and overseas. Wells started basketball at 17, where he participated in a scheme called ‘Tall and Talented’ at Barking Abby. Before turning pro in 2014 with Leeds Force in the BBL, he represented Great Britain at the FIBA Under-20 European Championships, where the team secured promotion from Division B.
Zak spent his first two professional seasons with Leeds with averages of 10+ points per game on both occasions. In the 2016-17 season, following a short stint overseas in Slovenia for Hopsi Polzela, Wells returned to the BBL, joining London Lions. At the start of the following season, newly appointed Raiders’ head coach, Gavin Love, signed Wells and appointed him club captain – a position he has held over the past two seasons. Returning to the Raiders for a second season, this time under Paul James, Wells is currently playing a crucial role in attempting to bring Play-Offs basketball back to the city for the first time in seven years. “It was a big decision deciding to retire, especially at the age of 26, but I know it’s one I will not regret,” Wells said of his retirement. Coach James added: “Zak doesn’t get the credit he deserves because the things he does so well don’t always show up in the stat lines. Zak Wells has announced his intention to retire from professional basketball at the end of the 18/19 season. Richard Mollard added: “Zak has been a great addition to the team the past two seasons, and a fantastic club Captain. “Much of Zak’s value cannot always be seen on the stats sheet, but his contribution both on and off the court has been invaluable, and he’s going to be sorely missed in and around the club.